Recent research has found that the risk of having a heart attack triples when exercise is performed when feeling angry or emotionally upset. This groundbreaking discovery leaves no doubt that our emotions impact our body. The research, led by a scientist from the Population Health Research Institute at McMaster University in Canada, discussed the large body of scientific evidence showing that emotions (including anger and emotional upset) cause physiological responses in the body that lead to an increased risk of heart attack. The physiological responses include increased secretion of hormones and a resulting restriction in blood vessels, increased heart rate and increased blood pressure – all of which may cause a rupture in already vulnerable blood vessel walls. Furthermore, similar physiological responses are also found in the body during high-intensity exercise, which has been known for some time to increase the risk of heart complication. What the new research has added is the observation that completing high-intensity exercise when angry or emotionally upset, triples the risk of heart attack. In the search for ways to release stress, many people will often turn to exercise, as one of the benefits of exercise is stress management. With this in mind, the new research has led to a number of mental health experts and exercise scientists acknowledging that attempting to ‘blow off steam’ through vigorous exercise could increase our risk of having serious heart complications within an hour after exercise. This new research suggests that exercising when angry or upset can actually have serious health consequences. Sports scientists are now saying how important it is to be aware of our moods before we exercise. These new findings could be considered to contradict the well-known recommendations that exercise is one of the ways to release stress and support our mental health and wellbeing. 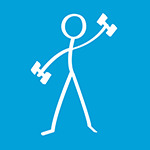 It’s quite commonly believed that walking briskly or good cardio workouts in the gym are a great way to lift our mood. The question is, can we successfully exercise when angry or emotionally upset to lift our mood? The Ageless Wisdom Teachings, as presented by Serge Benhayon, bring awareness to the fact that our energetic state of being, including our emotions, is magnified around our body during any form of movement, including exercise. This is based on Newton’s 3rd Law that for every action there is an equal and opposite reaction. The teachings suggest that it is vital to be aware of what state of being we are in before we exercise and despite what mental health experts say, stress, frustration, sadness, depression or anger cannot miraculously disappear or become better with exercise. Instead, any of these emotions can magnify throughout our whole body, not only having serious health consequences, but also having long-term effects on our mood and state of being and our ability to truly deal with any emotional issues. Why is exercise labelled as one of the best ways to release stress if it is in-truth increasing or magnifying our state of emotional health and well-being, putting us at risk of serious health consequences? It’s common for someone who is angry, frustrated or feeling upset to want to exercise, to ‘pound it out’ in a run, or ‘punch it out’ in a boxing bag, or ‘smash it out’ with some heavy weightlifting. In fact, exercise is often recommended as a way to release stress. So the intensity of the workout is often very hard, fast and heavy, or for a long duration of time and often until the point of exhaustion. Some people will even say that they get angry when they don’t exercise and don’t know of any better ways to release stress without a good hard workout – acknowledging that people use exercise to vent and manage their moods. Is it at all possible that exercise – specifically hard or high-intensity exercise that makes us grit our teeth, clench our fists or tense our body – does not in-truth let out stress, anger or emotions, but instead pushes these emotions deeper into our body so that they can no longer be felt? Or even more simply, is it that hard or high-intensity exercise makes our body go hard or numb to feeling any stress and emotion, so we are learning to move or exercise in a way that helps us to not feel? The whole time burying the issues deeper inside? If we don’t exercise for a few days the hardness or tensions begin to make themselves known again, then our body may begin to feel what we have buried, and it all pops up again – the stress, anger, frustration or sadness that we tried to bury with the exercise. This then leads to the resulting desire, drive or even addiction to get back into some good cardio workouts, at the gym, on the road, or at the punch bag, so we don’t have to feel the agitation, discomfort or anxiety of what lay beneath. The good news is that there is another way forward. It’s not about stopping exercise, instead it’s about being aware of our feelings and emotions before we exercise and finding a way to truly stop and let go, release and heal emotions, hurts or feelings that we hang onto in our body. There is a way of exercising that is gentle and connected with our body, to be aware of our emotional and energetic state of being. It’s as simple as taking a moment to stop before we exercise, reconnect to our body and our gentle breath with some stretches and gentle movement, Connective Tissue exercise, Esoteric Yoga or Gentle Breath Meditation, then moving our body from there. When we connect to a more content, still, gentle and settled place within, before we move or exercise, this is then magnified around our body – not any anger or frustration we are feeling. The gentleness and settlement will then become our familiar and natural way, so that anything less than this can truly be dealt with and let go, and our bodies will then feel truly vital and rejuvenated. Dr Danielle Pirera, BBiomEd Sci, BExSci (Hons), PhD, Dip Rem Massage, Cert III & IV Fitness, TAE. Danielle has a PhD in Exercise Physiology, degrees in Biomedical Science and Exercise Science Honors as well as a Diploma of Remedial Massage and Certificates III and IV in Fitness. She works as a health and fitness expert and body worker and educator. For the last ten years Danielle has been constantly inspired by the philosophies of Serge Benhayon and the Ageless Wisdom Teachings. Serge shares an understanding and clarity about the body beyond any university degree or academic research, about how the way we live, the choices we make and that how we move and our emotional state of being, deeply and undeniably influence our anatomy, physiology and mental health. Physical Activity and Anger or Emotional Upset as Triggers of Acute Myocardial Infarction. The INTERHEART Study.